Businessmen who fly to different cities or countries should decide to wear best suits which are built with rich fabrics and materials. 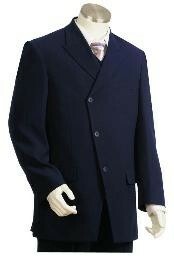 There are tons of business suits which are crafted brilliantly according to the tastes and beliefs of the wearers. Men will get that gangster look when they wear purple pimp suit which is popular among dancers, rap artists, hosts and other party goers. Guys who are planning to attend Halloween parties will get that rugged and gangster looks when they wear pimp suits. 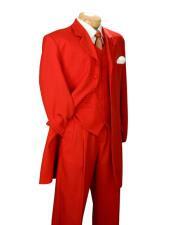 Red color pimp suit is extremely popular among party goers and individuals who attend Halloween types of parties. They have to wear designer jewelries, ear studs, cowboy caps, bell-bottom style pants, eyeglasses, rings and red shoes along with this suit and captivate audience hearts. 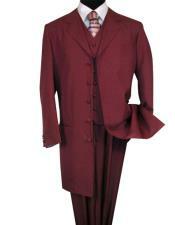 Boys will get that vintage look when they wear zoot suit pants which come in rich color. Teenagers who attend farewell, birthday, Halloween, weekend and other types of parties will carry that latino looks when they wear that zut suit. Wearing these loose fitting suits is much easier compared to other suits. Party going men can walk comfortably on the road when they wear these loose fitted dresses which come in various colors like red, blue, black and green. African Americans who are living in the cities of America can get that refined and ancient looks when they wear zoot suits. 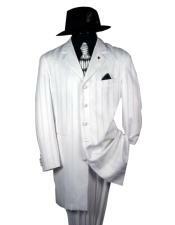 Zoot suit which is also popularly called as zuit suit is built with high-waisted, wide-legged ad tight-cuffed trousers. 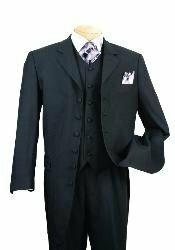 Black skin citizens will get that fashionable looks when they wear zoot suits which are tailored according to their taste. Some of the latest suits which are getting fantastic review and ratings from the users are red pinstripe suit refine red, purple suit and red color suit. Tall guys will look terrific when they wear custom made yellow zoot suit and complement it with black shoes, black ties, suspenders, white shirt, and black cap. Charcoal plaid with gold threat zoot suits is also famous among jokers, models and ramp walkers. Models, ramp walkers and fashion dudes can easily hypnotize others when they wear hypnotic suit which come charcoal color. 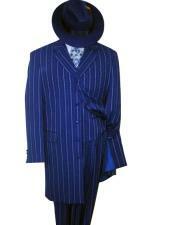 Mexican American youths will get that army men look when they wear blue zoot suit. 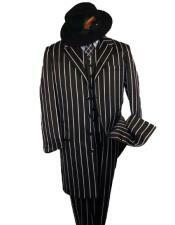 Zoot suits were first worn during 1943 and thereafter these dresses become popular throughout the world. 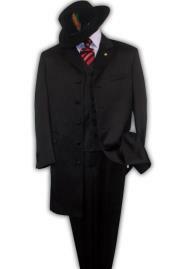 Men will love the cuts, shapes, fabrics and materials that are used in the pimp suits and wear them with confidence during stage shows. Boys will look funnier when they wear 1940s zoot suit. 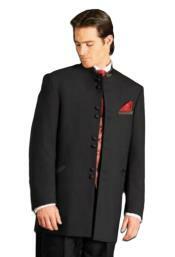 These contemporary suits which are creating ripples are gaining wide popularity. 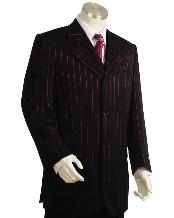 Visitors who are planning to purchase world class pimp dresses should choose this online zoot suit store which sells only quality and warrantied clothing. Black men who are tall and stout will look like experienced and professional pimp when they wear gangster tuxedo which comes in wide varieties of colors. 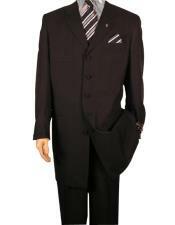 Checked suits are also famous among dancers and stage show artists.